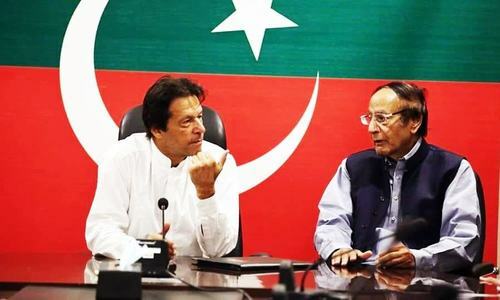 The Lahore High Court (LHC) on Friday ordered the Election Commission of Pakistan (ECP) to withhold the notification of victory of Pakistan Tehreek-i-Insaf's (PTI) Farrukh Habib, who had emerged as the winner from Faisalabad's NA-108 and remained so despite an earlier recount. Justice Shahid Karim issued the directions on a petition filed by rival candidate, PML-N leader Abid Sher Ali, against Habib's victory. Ali had approached the LHC earlier today after a notification issued by Returning Officer Shakeel Ahmed on Thursday showed that the PML-N leader had lost the poll by 1,201 votes to Habib, whose victory margin decreased by only 10 votes during the recount. In his petition, Ali has alleged that bogus copies of Form-45 were drafted to ensure the PTI candidate's victory from NA-108. He urged the court to stay the notification of Habib's victory until the petition is decided. After hearing all arguments, Justice Karim directed ECP to withhold the notification. The court also issued notices to the commission and other parties, seeking their responses by August 7. The same LHC judge also directed the ECP to withhold the notification of victory of PML-N candidate Hamid Hameed, who had won the election from NA-90 constituency of Sargodha. PTI's Dr Nadia Aziz had filed a petition against Hameed's win by a lead of 8,000 votes. She argued in her petition that the counting of votes at polling stations in the said constituency was flawed and that the RO had rejected her request for a recount. She urged the court to issue orders for a recount and for the withholding of notification of her rival candidate's victory until the recount is completed. Justice Karim ordered the ECP to stay the notification. The commission, RO and other parties were directed to submit replies to the notices issued to them by August 7. While hearing a third such petition, the LHC ordered a recount in the Punjab Assembly constituency of PP-123 Pirmahal in Toba Tek Singh. PML-N candidate Syed Qutub Shah had filed the petition after losing the July 25 election to PTI candidate Sonia. He alleged that the PTI candidate was made to win through rigging and the RO had rejected his request for a recount. Admitting his petition, Justice Karim issued directions for a vote recount in the constituency. What happened to the Result Transmission System on election night? another bogus claim by Mr Ali, he knows he will be going to jail soon. PMLN will go to every length to avoid defat but this time it will not work. Please accept your defeat with grace - this might safe you and your party from further ridiculing yourselves! Why another recount? File for verification of the votes also. Anything that is not in PMLN favour is conspiracy. Abid Sher Ali needs five times more for recounting and each time his vote will decrease. These people will try every trick in the book. please decide these cases as early as possible. The country wants to move ahead. The people have spoken through their votes. Stop shredding crocodile's tears and accept defeat! These two cases prove beyond any reasonable doubt that unfortunately, the fake politicians in South Asia don't have the guts and the grit to accept defeat, which in essence is a part of democracy as well as democratic norms, values, traditions and practices. His request for a recount has been duly carried out and he lost second time too. What a waste of national resources and judicial time when there are millions of other cases waiting for resolutions. At least PTI request is reasonable in that she is requesting a recount to ascertain the truth of the matter. I cannot understand that the ordinary citizens waits years for resolving their legal disputes but the ruling elite obtains redress in days and weeks! Injustice is so embedded in this society and legal system. This should be decided at the earliest. The one who has done wrong should be punished. 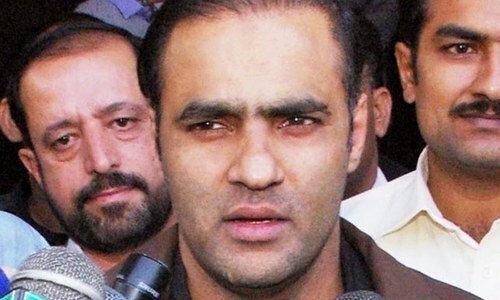 However, if the allegations are wrong, Mr. Abid Sher Ali should too be given examplary punishment. After the worst performance as a federal minister still think he is winner, don't worry and live with shattered dreams. Very easy to judge bogus copies of form 45. If so, the whole election of the constituency must be quashed and then the election repeated. Farruk Habib is impressive. Good find. The claimant may have had bogus copies of Form-45 drafted to make PTI look crooked in NA108. Who really knows? What about accepting the defeat like a man? Ecp has one job to do once every 5 years and they can't do that right. please accept your defeat , when the public verdict against you ,let the chance to the new faces to rule the country. Hope one day we don't have to see the faces of these people ever again. PTI were bleating much worse in 2013, including sit-ins and riots over a year after the election. The current "losers" are behaving relatively calmly and going through the proper channels (legal) with their complaints. PMLN - Please!!!!! Enough is enough. @Amir he has not lost on recounting,recounting halter after results of around100 polling stations. We need to learn from Indian election commission on how to conduct elections with out any biases. This whole pre or post election rigging has dented our image. We are viewed as “controlled democracy”. What was that PMLN saying before the election "vote koh Izzat Doh"? Practice what you preach. The corrupt to the core should face prison. That time is coming so these people are using every excuse to delay their accountability. They are so rotten to the core that there is no way to fix them . Just put them in jail. As for the jail comment I wonder when aleem khan will go to jail, or jahangir tareen. Doesn't he also have assets beyond his means? The best we could get was a lifetime ban from politics. Dirty is dirty no matter which party, all should rot in jail. And so the drama goes on, nothing comes easy to Pakistan. Not surprising. With the amount of open cheating witnessed here in KPK, it's not surprising that the same happened in Punjab also. Why he is wasting court time and why the court is wasting their time. There are many other causes are pending which needs to be considered on very urgent basis. Who decides victory for candidates or parties in Pakistani democracy? Voters or somebody else? Sure, PTI is the winner.